But tolerating the answers such perspective suggests can ask a lot of us. The work of a valued friend and colleague provides a great illustration. It helps us in a couple of important ways. It highlights how difficult it can be to get essential “big picture” questions acknowledged. It also demonstrates how much of a stretch making full sense of possible answers can be even for someone experienced at doing so … and committed to doing so. Larry Hobbs is a respected biologist and educator. Early on he studied with systems pioneer Gregory Bateson, so he is no stranger to asking systemically complex questions. Today, an important part of his work focuses on a particularly provocative example. Biologists commonly ask about the “carrying capacities” of environments and how this quantity relates to the health of specific organisms. They want to know how large a population can thrive sustainably in a specific place. Larry and his colleague, Chuck Fowler, have taken the audacious step of asking this question about the human species—about us. They did the same kind of analysis biologists commonly do, but made our planet as a whole the environmental system and the organism in question you and me. And they crunched the numbers. It is important to appreciate the radical nature of their inquiry. Whether we might destroy ourselves simply from our numbers is in fact a reasonable—indeed very practical—question. But it is a more encompassing question than even the mostforward-thinking of biologists commonly consider. And certainly it is not a particularly comfortable question to be asking. There is also the historical acceptability of the way Larry and his colleague framed the question. They had treated humans as simply another kind of organism. Certainly doing so breaks religious taboos. Most religions see humans as God’s special creation, fundamentally distinct from the creaturely. But just as much it breaks scientific taboos— or at least scientific orthodoxy. Scientists have traditionally gone out of their way to keep the methodologies they use to study the purely biology and those they use to study human beings distinct. The question Larry and Chuck were asking also runs afoul of common Age of Technology beliefs. Modern technological-gospel thinking assumes that we can invent our way out of any trouble we might get ourselves into in. Simply acknowledging the question requires that we also acknowledge how this assumption has no reasonable basis in fact. The results of their study were striking—and of no small significance. Larry and Chuck’s computations suggested that we had already exceeded our carrying capacity— indeed dramatically so. Given that we have not yet reached the point at which the global population curve might naturally level off, this is not good news. Not surprisingly, given the study’s unorthodox methodology, trying to get the results published proved more difficult than Larry and Chuck had hoped. They approached multiple publications, and tried articulating the results in different ways that might work best for different journals. For a long time, they had no success. With persistence, their article, “Is Humanity Sustainable?,” work was published in the respected journal Proceedings of the Royal Society of London, Biology (in 2003). It is important to note an insight that came while working on the paper, one that expanded the question they were asking. This insight helped them with describing their results most usefully. As significant, it also had important implications for how Larry would engage this work going forward—and approach his life contribution more generally. Larry and I often hike together. While doing so, we listen to—and often challenge— each others thinking. I remember once asking Larry if, in taking on the historical blindnesses that come with placing the human and the simply biological in wholly separate worlds, he wasn’t falling for an opposite kind of trap—lumping these two kinds of creation together in a way that might be ignoring important differences. The question had importance both for how the research should be interpreted, and to Larry more personally. We are all vulnerable to particular ways of limiting ourselves. Larry can be vulnerable to becoming cynical. It would be all too easy for him to conclude from the data that we are beyond hope. Creative Systems Theory proposes that while most basically we are creatures, at once we are a particularly creative kind of creature. We are conscious tool makers and also makers of meaning, able both to create with a unique prodigiousness and to step back and reflect on the significance of what we create (see Creative Systems Theory: Addressing the Challenge of Culturally Mature Conception). This way of thinking about what makes us particular suggests that thinking of the biological and the human as wholly separate and thinking of their worlds as one and the same, each, in their own ways, miss the mark (see “Come On” Stephen Hawking: The Quandary of Free Will in an Apparently Deterministic Universe ). This expanded picture alerts us to the importance of adding a further question to the systemic analysis: How much might our creative, tool-making prowess offset what might seem end-of-story implications? Certainly it is a practical addition. It helps us focus our attention on what can possibly be done and set necessary priorities going forward. Advances of times past—from the advent of agriculture to modern sewage systems— while they haven’t done anything to alter ultimate limits, have served to increase the number of people environments can tolerate. Expanding the question in this way also had more personal implications for Larry. I remember asking him if it turned out that there was only a small chance that human action could save us from extinction—say two to five percent—would that be enough to motivate him to continue bringing his best to his important efforts. He responded that it would be. While framing the “carrying capacity” question as large as a culturally mature perspective suggests is necessary made the results of his work inescapably stark, it also provided an antidote to cynicism. With regard to human extinction, a culturally mature perspective asks, first, that we be humble to the fact that this outcome could very well be our fate, and sooner rather than later. Climate change (and the major social upheaval that could very well accompany it), nuclear proliferation (and the possibility of weapons of mass destruction being used not just by nation states, but also by terrorist groups), increasing population pressures and the environmental degradation that would predictably come with it, and events that are not our fault such as the possibility of an asteroid collision, could all be our undoing. Our time on the planet has been very short compared to that of the dinosaurs. I’m not sure wagering that we will outlive their years as the dominant species would be a good bet. *That said, a culturally mature perspective just as much emphasizes the importance of not letting such recognitions undermine our creativity and our will to survive and thrive through a true desire to live sustainably. To do so would be to fail to fully take in the facts. Positive options exist—even if they can’t guarantee that we will dodge extinction. New technologies have the potential to help us live in more efficient ways (though we must be very sure that in fact they do—our ability to deceive ourselves is immense). 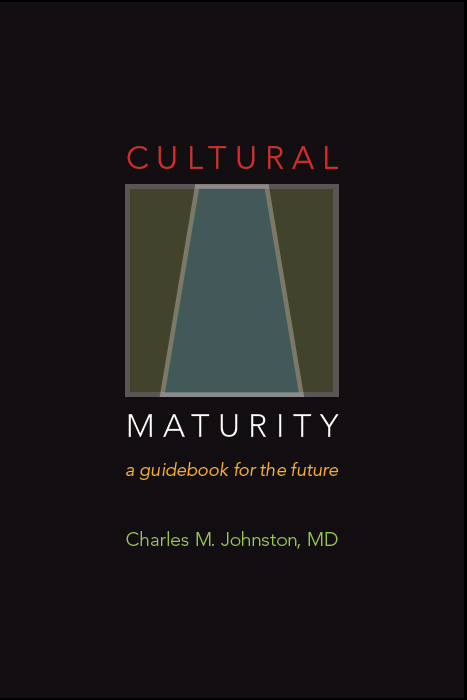 And if the concept of Cultural Maturity is accurate, even more important when it comes to survival is the possibly of bringing greater foresight and moral responsibility to the choices we make in all parts of our lives. Culturally mature perspective also more directly challenges cynicism. It is a challenge that we all confront in some way. For myself, the difficulty of getting the importance of culturally mature capacities heard and understood can at times leave me frustrated and tired. Add to this the amount of Transitional Absurdity today’s world requires us to endure and I too can fall victim to cynicism (see Transitional Absurdity: How the Ludicrous Can Co-Exist with Hope). A culturally mature perspective does not at all advocate for always being positive—it is very much about seeing clearly and confronting hard truths. But one of those hard truths is that cynicism serves nothing. Indeed, in the end, it is a copout. It lets us feel right and at the same time avoid committing ourselves to any useful action. Creative Systems Theory delineates how cynicism leaves us blind to larger systemic realities and is just as limited and limiting as other self-serving and more obviously ideological kinds of belief (see Conceptual Traps and Fallacies). In moments when cynicism temps us, it is essential to recognize that it has no useful purpose. Whether the question at hand is more personal or more collective, we need to ally ourselves with the most creative and life-affirming outcome possible. Often today that means responding with a maturity of insight and responsibility new to us as a species. The stretch doing so requires can feel like too much. 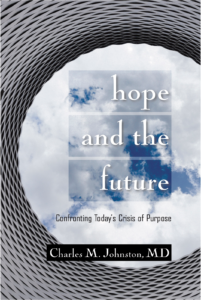 But taking on this task is what will ultimately determine our sense of purpose in our time. With regard to our human future, it will play a central role in determining not just how rewarding that future will be, but also how far out our time on the planet will extend.